This is one of my staple dishes. Every time I go to Ibiza Food & Wine Bar in Houston, Texas, I order this dish. My friend, Charles Clark, does such a beautiful job of highlighting this exquisite dish’s ingredients. 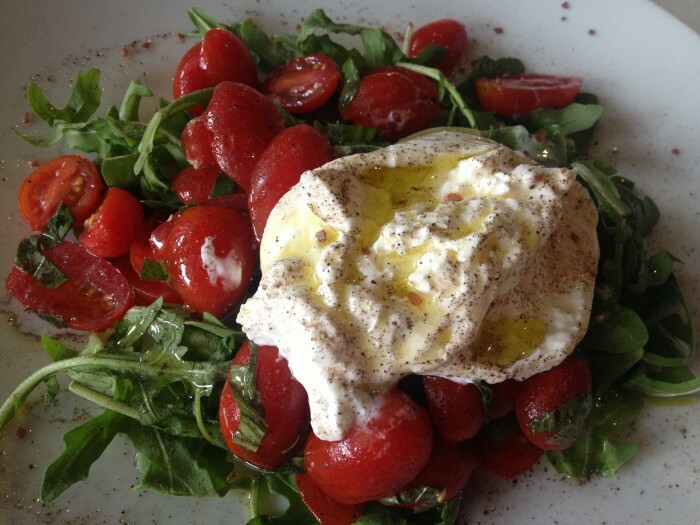 Simple course sea salt, course black pepper, olive oil, and the buttery burrata and tangy tart tomatoes. I can taste it right now!